Park Resorts have two major holiday resorts in Wessex, that lovely region of south west England that is so beautiful and unique. There is one park at Bideford in Devon and four Parks on the Isle of Wight. All have stunning views and lots of attractions both within and in the areas outside the parks. Why not try them all? Well why not! Make some grand breaks! The Park Resort in Devon is on the north coast at beautiful Bideford. The town is gateway to Devon's rugged north coast. The long distance famous footpath the Tarka Trail can be accessed from Bideford. The town itself is most attractive, colour washed and showcasing its grand past as an important port. Merchant houses can be seen that date back to those days. Bideford is on the west side of the River Torridge, it still is a port and there is a great walk along the quay. Westward Ho beach which has a Blue Flag is not far away. Marvellous for the kids. The pretty town of Clovelly is close. The resort itself is in a sylvan hilly setting. The view of the sea is wonderful. There is a heated swimming pool outside and another indoor pool. Lots of entertainment and other attractions. 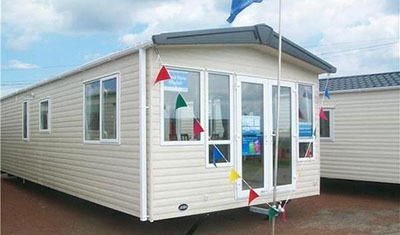 Accommodation is very comfortable in either a caravan or a chalet. There are five grades of caravan and whichever you choose you have free entertainment, gas and electricity! The four parks on the Island are Thorness Bay, Nodes Point, Lower Hyde and Landguard, which means one on the north coast and three on the pretty east coast. There is a FREE FERRY on selected dates. 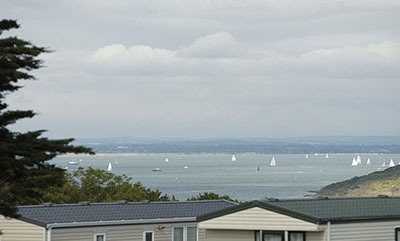 It is not far from Cowes where the famous sailing races start. Cowes is a pleasant town with narrow streets and unique shops and plenty of eating places. The town has a chain ferry (it does carry cars) that the kids might find fun. The ferry connects East and West Cowes over the River Medina. 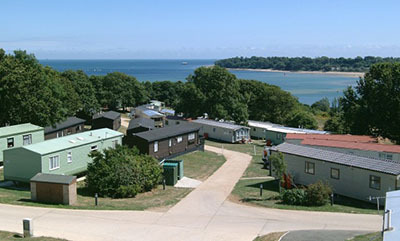 Thorness Park is framed by the sea and the countryside and has stunning views. There are masses of entertainment and other attractions, more than many resorts. Accommodation is comfortable and well equipped. There are six grades of caravans and there are chalets as well. Situated on the north east coast of the Isle of Wight it is another delight for families and anyone else who would like a break. So close to St Helens and north of Bembridge. St Helens has the largest village green in England! It is a peaceful and relaxing area. Nodes Point Park Resort is relaxing or if you want it there are masses of things to do from horse riding to enjoying the pool and everything in between. 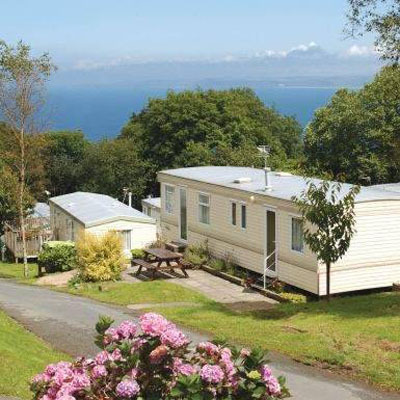 There are five grades of excellent caravan holiday homes and there are chalets too. Plenty to choose from. Shanklin is a very pretty part of the Isle of Wight. It has a wonderful sandy beach ideal for children and those adults who adore swimming and relaxing on the beach. Have a look at Shanklin Chine. The town itself is pretty, have a look at Olde Village. There is lots to do in the Park! The kids and the adults will have a lot of fun. Excellent accommodation. The caravan holiday homes come in 5 grades, there are chalets of course and at the luxury end there are the Signature Lodges! This is also in the beautiful Shanklin area and nestles in woodland. 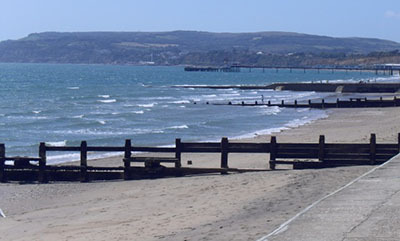 A bit further north is Sandown, another lovely beach. 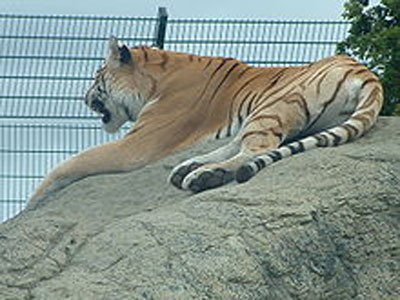 Why not visit the Isle of Wight Zoo while you are in Sandown. Landguard is lovely. Smaller than Lower Hyde but just as much fun. 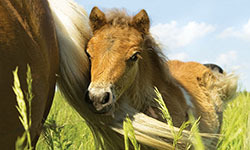 Caravan Holiday Homes have four grades and there are luxury lodges as well. There are often caravans for sale in these resorts. If you finish up with a favourite park, it could be a great idea to own one there! Come when you like!! Or you might like to browse further, there are navigation buttons above on the left.